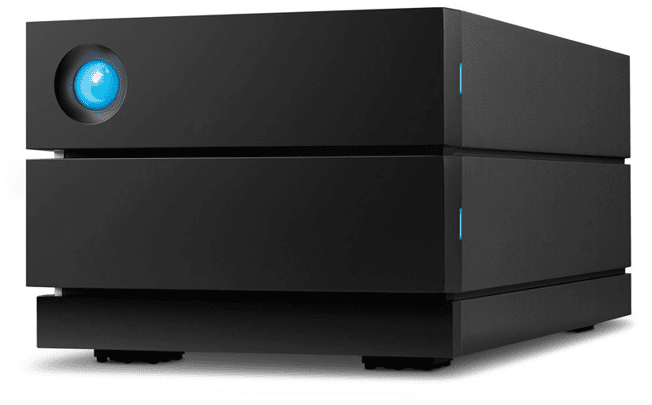 LaCie, Seagate Technology’s premium brand has announced two new storage solutions for creative professionals and prosumers at the National Association of Broadcasters (NAB) 2019 show. The first is the LaCie Rugged RAID Shuttle, which is ruggedized to handle the rigors of regular shipping or travel. The second is the LaCie 2big RAID. Both offer an internal RAID 0/1 setup for increased speed and USB-C USB 3.1 (Thunderbolt 3 and USB 3.0 compatible) interface for faster transfer speeds. The 2big RAID is more static fixture while the Rugged RAID Shuttle, as the name implies, is designed for the rigors of travel and its inherent abuse. LaCie Rugged RAID Shuttle is surrounded by an orange rubber shell helping to protect against drops up to 4 feet and also aids the drive's IP54 rating against water and dust. 2big RAID comes pre-formatted for exFAT, and can operate at much faster speeds, up to 440 megabytes per second. Its Thunderbolt 3/USB-C port offers USB 3.1 Gen 2 bandwidth up to 10 gigabits per second. The 8TB LaCie Rugged RAID Shuttle will be available in May with an MSRP £489. LaCie 2big RAID is available this month with MSRPs of £399 (4TB), £499 (8TB), and £689 (16TB)..